This week 163 people ran, jogged and walked the course, of whom 27 were first timers and 25 recorded new Personal Bests. Representatives of 20 different clubs took part. 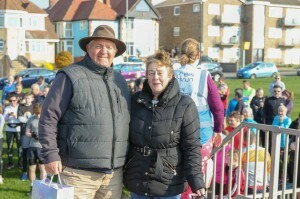 Before the run started we had the opportunity to thank Lynda and Eric Webber for all of their support for our parkrun. 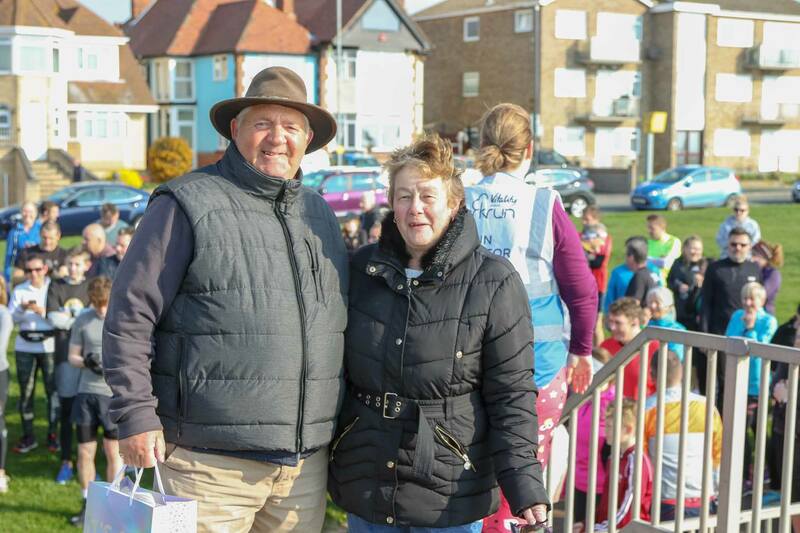 Up until October 2018, they were both regular volunteers at our parkrun – Eric has volunteered 84 times and Lynda 50 times at Clacton Seafront parkrun, so it was lovely to see them both again and to thank them for their support, more on our wonderful volunteers later in this report. We have 2 milestone runners celebrating their 50th parkrun and qualifying for their Red T-Shirt, congratulations to Colette HARVEY who has done all 50 of her runs at Clacton Seafront, and to Shaun SWINBOURNE who is also a regular runner at Clacton Seafront. 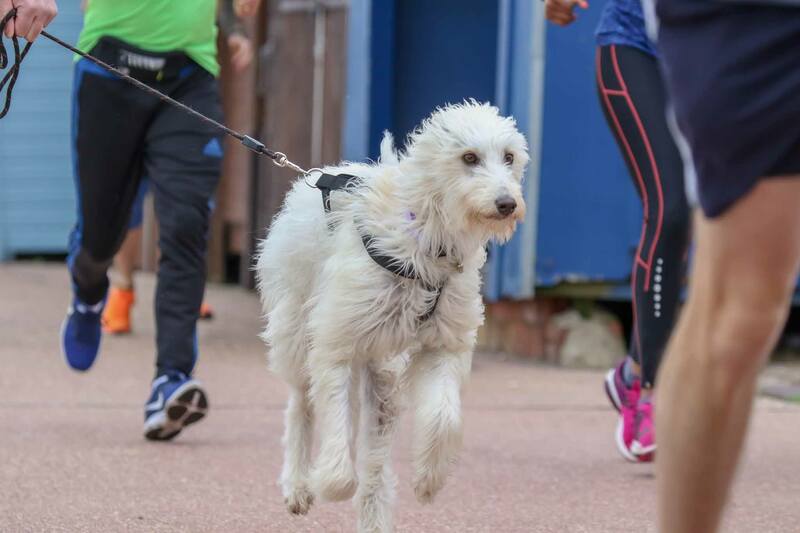 Thank you to everyone who joined us for parkrun, volunteers and participants you will all be entered into a draw along with the volunteers and participants from our event on the 20th April 2019 for a free entrance to the Colchester Zoo Stampede 10k event. We are incredibly lucky to have many amazing volunteers at Clacton Seafront parkrun, who are much valued members of our parkrun community. 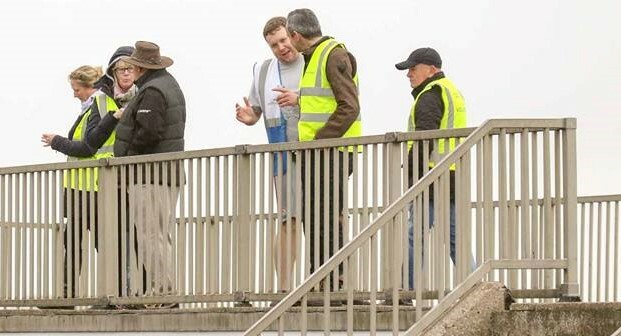 Pete INMAN (who does the amazing photos) has volunteered at our parkrun 79 times, Paul CRAWFORD who is usually found on Timekeeping has volunteered 60 times, Daniel CASEY (who marshals at the turn point by the Toby) has volunteered 59 times which is made even more fantastic by the fact that he will shortly be celebrating his 80th birthday !! At the start of May the lovely Gillian MORRISON will be back volunteering with us, Gill has already volunteered 62 times. 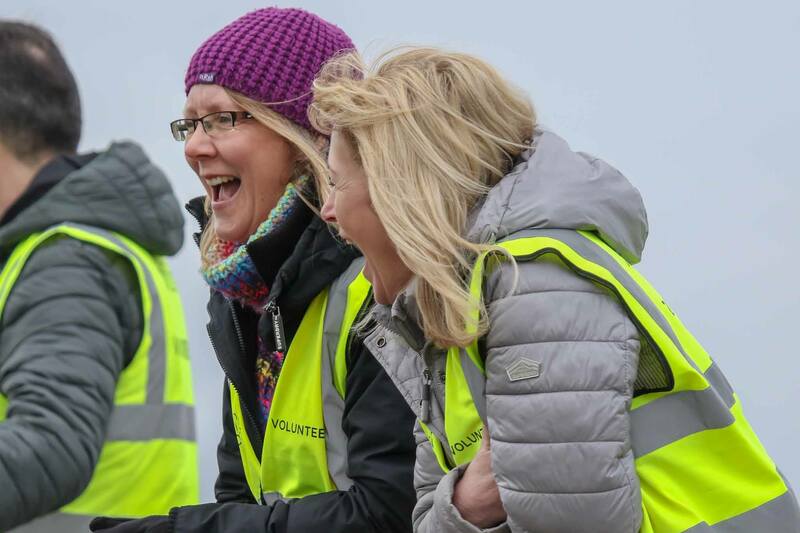 parkrun wouldn’t be possible without the support of all of the amazing volunteers, so our thanks to you all. On Saturday 20th April 2019 we have our Easter parkrun, where they will be haribo’s or chocolate available for all post event. Maria and I look forward to seeing you all on Saturday. 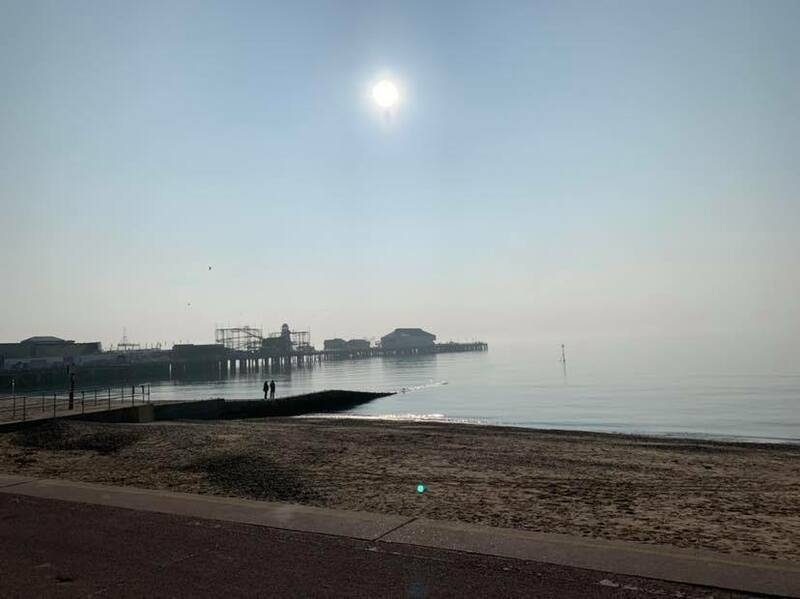 Today's full results and a complete event history can be found on the Clacton Seafront parkrun Results Page. The female record is held by Daisy GLOVER who recorded a time of 18:32 on 1st January 2019 (event number 112). The male record is held by Ramadan OSMAN who recorded a time of 16:07 on 1st January 2019 (event number 112). The Age Grade course record is held by Ros TABOR who recorded 89.11% (24:11) on 4th August 2018 (event number 91). Clacton Seafront parkrun started on 15th October 2016. Since then 2,913 participants have completed 15,204 parkruns covering a total distance of 76,020 km, including 3,126 new Personal Bests. A total of 282 individuals have volunteered 1,813 times. In contrast to last Saturday this week's parkrun certainly had a bite to it with some bitter wind coming in off of the sea our volunteers get extra kudos this week for withstanding the weather to serve our parkrun community. As always volunteers are welcomed, so please do get in touch if you would like to volunteer via our facebook page or email the parkrun office, and of course you can ask us at the event if you would like to put your name down. This week 167 people ran, jogged and walked the course, of whom 25 were first timers and 26 recorded new Personal Bests. Representatives of 23 different clubs took part. 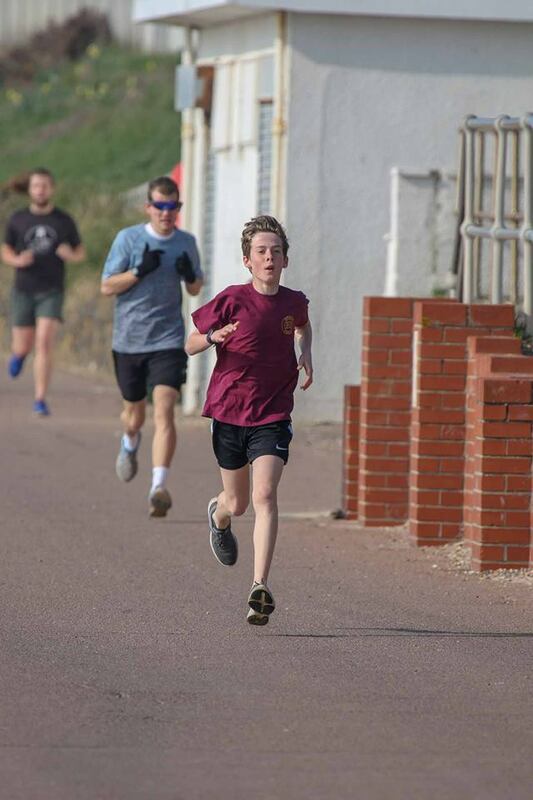 We saw a new age grade record set this week by Paul DOBSON of Colchester Harriers AC which certainly gives him some bragging rights amongst the club as positions 4-7 in his age grade all represent the club. Paul becomes the new holder of VM50-54 age category record so well done to him finishing in a time of 18:11 he may have been first finisher on another week if not for super performances by Matthew BRAYSHAW and Tom BELCHER in places 1 & 2. Local hero Phoebe YOUNG placed as this week's first female her performance comes fresh from representing East Anglia and as our JW10 record holder her abilities come as no surprise to us at Clacton Seafront so well done to Phoebe. Other performances of note were that of Andy HAZELWOOD who completed in his fastest time for over a year, as well as all those who set new PBs tis week, well done to all of you. A massive congratulations to Heidi BAKER, Brian BISHOP, Laura PARKE & David LOWER who all completed their 50th parkrun which worked out well for me during briefing because I had their names ready in true "here's one I made earlier style" so I was pleased that they were all attending or it would have ruined my game. Thanks as always for coming out to join us and thanks for those that joined in with the song and hopefully it is out of your head by next week's parkrun. Full results and a complete event history can be found on the Clacton Seafront parkrun Results Page. 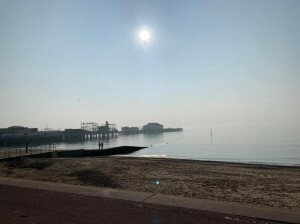 As the sun rose over Clacton Pier this Saturday only a collection of wet sand and stones were going to stop us having a trouble free parkrun, that and the odd vehicle moving on the lower prom as soon as the run started, but it soon came to stop and temporary panic was over. Among the 164 people that ran, jogged or walked the course this week I was honoured to be able to host Gary Perryman who organised a number of VI runners with their guides this week. 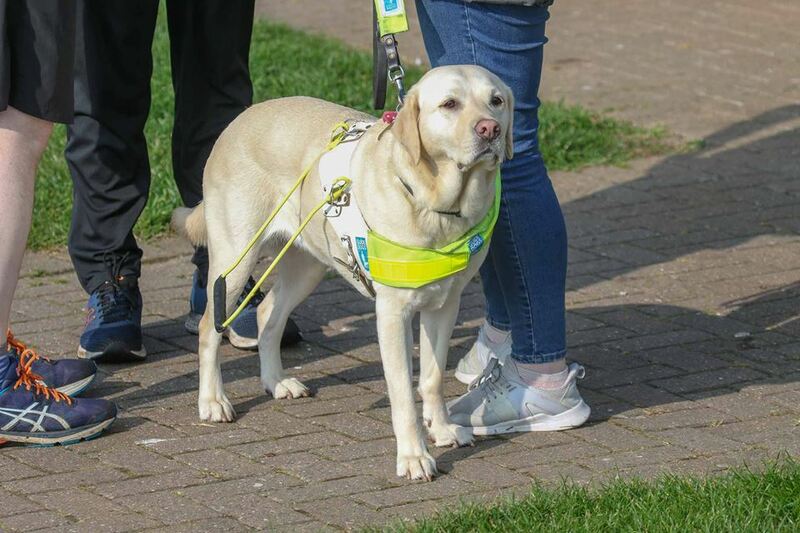 I have a personal empathy for this issue because I am a big believer in inclusivity at parkrun and also for anyone who has ever talked to me and thought I was being rude by not looking at them, I wasn't but only have 3% vision in my right eye so have very little control of it. As a child adapting to life was complicated by this but as an adult it causes me no trouble whatsoever so cannot begin to imagine the challenges faced by those with vision impairments and love that their positivity and will to continue to live life brings them to parkrun. I would like to thank all other runners for being considerate of them during Saturday's run. 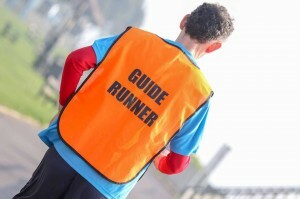 Anyone who is interested in helping out a fellow runner, please let us know and we can put you in touch with Gary and you can learn how to become a guide runner. As well as our VI runners and guides we had 28 first timers and 41 people who recorded personal bests and representatives of 18 different clubs. Noteworthy PBs were that of local pocket rocket Sam PLUMMER a regular first place finisher who came in first again in a time of 18:20 and Chelsie SMITH who was fresh off of reaching her 50 milestone recently. It certainly was warmer than expected so well done al those who did manage to register a PB. Congratulations to Tanya PARK who reached 100 parkrun this week, I think she was slightly shocked when I picked her out pre-run to congratulate her, I like to keep an eye on progress of our regular runners. Thank you as always for taking part and we look forward to seeing you next week, just to alleviate any doubts …. you do not have to HOP! All photos are courtesy of our facebook page and there are lots more available on the page. Clacton Seafront parkrun started on 15th October 2016. Since then 2,861 participants have completed 14,874 parkruns covering a total distance of 74,370 km, including 3,075 new Personal Bests. A total of 279 individuals have volunteered 1,781 times. This week 139 people ran, jogged and walked the course, of whom 16 were first timers (and of these 6 first time ever parkrunners) and 34 people recorded new Personal Bests. The weather was a lot calmer than the previous week thankfully. 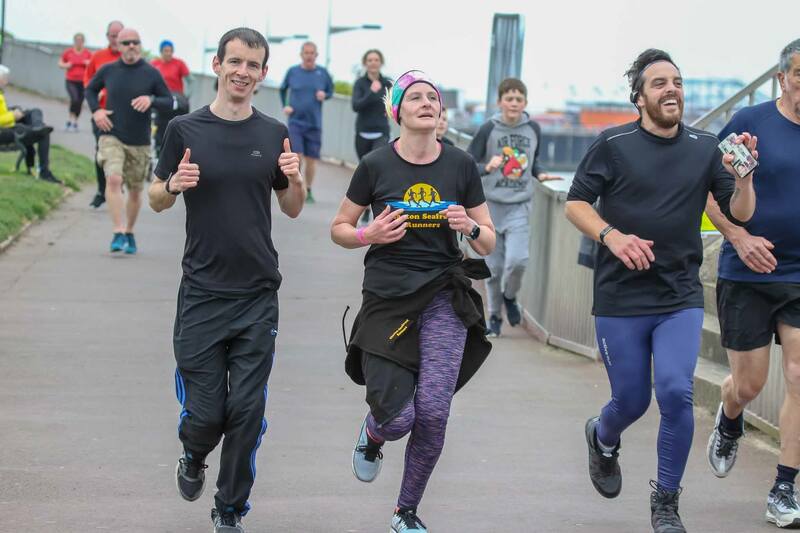 There were 3 milestone runners this week – congratulations to Katie DAVID and Nina MARSHALL who were both celebrating their 50th parkrun , and to a junior parkrunner Harry RISEBOROUGH who completed his 10th parkun. A number of our regular parkrunners including Laura PARKES, David LOWER, Heidi BAKER and Brian BISHOP are all on 48 runs, so just a couple of runs off their 50th parkrun. Male: Paul GAME (19:15), David JONES (First Timer, 20:13) and James EYRE (21:19). Female: Shannon MASON (First Timer, 22:43), Clare FOREMAN (First Timer, 23:56) and Harriet WARREN (23:58). Thank you all for giving up your time to support your parkrun. For the last run of March, Jack and Donna will be at the helm. Hope to see you all on Saturday. Clacton Seafront parkrun started on 15th October 2016. Since then 2,833 participants have completed 14,710 parkruns covering a total distance of 73,550 km, including 3,034 new Personal Bests. A total of 273 individuals have volunteered 1,764 times. 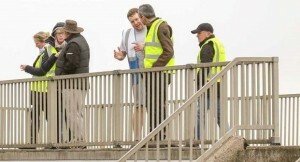 It was an extremely windy but dry morning for the 122 Clacton Seafront parkrun. 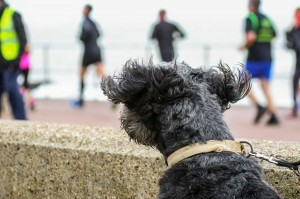 138 people ran, jogged along with a couple of dogs. We welcomed 16 first timers and amazingly 21 people recorded new Personal Bests. This brings the total number of people to have completed Clacton Seafront parkrun to 2,817 and the number of Personal Bests achieved to 3,000 exactly!! Male – Our first finisher was Stephen HENRY in a new PB time of 20:30, second was Jason COOK (has finished 1st on one occasion previously) and in third place was Matthew ILLSEY. Female – Our first female finisher was Harriet WARREN in a time of 24:59, our second female was one of our regular junior parkrunners Phoebe YOUNG (has been our 1st female finisher on 5 occasions previously, completing the first three females was Natalie CRISP a first time parkrunner at Clacton Seafront this week. Maria and I are at the helm again for the event on the 23rd March. This is the day before the Colchester Half Marathon, so if you are resting your legs but don’t want to miss parkrun we have a couple of volunteer roles available, and we are always able to utilise extra marshals. I look forward to seeing you all for parkrun 123.